In this episode of The Backlot, we sit down with Adam Driver as he discusses his career path to acting as well as his experience in the military. Known for his roles in Star Wars, Paterson, and Girls, Driver explained his acting technique and his approach to learning lines as well as characters. Join Us! Hi I’m Eric Conner senior instructor at New York Film Academy. And in this episode we bring you the man who killed Han Solo. Adam Driver in just under 10 years the immensely talented performer has worked with Spielberg Scorsese Terry Gilliam the Coen brothers Spike Lee J.J. Abrams Steven Soderbergh Barry Levinson and Jim Jarmusch who directed Mr. Driver in the lyrical indie film Paterson. But wait there is more. He’s been nominated for three Emmys as Hannah’s sometimes love interest in HBO Girls and he’s returning to Broadway next year in Lanford Wilson’s Burn This and for my fellow Star Wars geeks out there. He even sang with Oscar Isaac aka Poe Damaron in Inside Llewyn Davis. But before he worked with Hollywood’s finest directors Mr. Driver answered a more personal calling when he enlisted in the Marines. Driver: I think it was right after September 11th and I feel like a lot of people my age in. Middle America or maybe across America. But I can only really. Talk about where I was really wanted to do something and be involved and I hadn’t gone to college and I didn’t have a job that was really realistic. So it was a kind of dual purpose. It was filled with like a sense of patriotism and wanting to get involved. Not really sure what that meant. But also coupled with I wasn’t doing anything that was really a value or anything I was like proud of. To tell people what I was doing so those kind of two things came together. And then it kind of informed everything about being an actor for me. I think there are a lot of things about it where it’s you know working with a cohesive team. You know you have a role. You have a role within a larger group it’s not about you in your role you have to do your role well and know it and be proficient at it so everybody else can do a good job and collectively. I think you see in a short amount of time the benefit of discipline and self maintenance and you know team effort and there’s somebody in charge like a squad leader and when they’re competent at their job they’re what you’re doing feels necessary and valuable and important and when they’re not it feels dangerous and stupid and a waste of time and a waste of your life and I think because of that I took away that you know life is precious. You don’t have a lot of time. I didn’t want to waste it. You know so it applies to being on a film set where it actually takes the pressure off and suddenly you think everyone’s focused on you and there’s so many other kind of unsung roles that are making you look good or look make it look better for supporting you or not supporting you. Once he completed his military service Adam Driver turned his attention towards making his lifelong dream a reality. Driver: Looking back I think I always kind of knew I wanted to be an actor I just didn’t really like I didn’t piece it together I didn’t have the confidence that that was a realistic job to do. From where I was from I was from like I was born in San Diego but I was raised in Indiana in a very small town which didn’t really have a lot of acting opportunities. It was like the local round Barn Theater like the South Bend civic center or something. It didn’t seem like a realistic thing where you could actually have a family and be an actor. Because Los Angeles and New York was the places that people were making movies and doing that that seemed like going to Mars. But then when I think after I got out of the military it was like you are filled with so much confidence which is kind of false confidence that compared to the military civilian problems will be really easily manageable and like because I know you know if it doesn’t work out well I can live on the streets because it’s can’t be different than the mountains in California. So then I was lucky enough I auditioned for school here in New York and got in and then went to school and graduated and. Then kind of worked right away. It was. Which was which was very lucky I did a lot of theater. And then did like little things in movies and. TV shows and then it kind of just snowballed from one thing to the next. As he made the transition from acting student to professional Mr. drivers youthful ambition helped his career just as much as his talent. Driver: I mean I feel two ways about it sometimes I feel like the first play that I ever did because I was so naive and not naieve necessarily but ambitious and idealistic about what acting can be. And I would in a cast of people who had been acting for a while and I could tell that the agenda my agenda was like you know way different than theirs because I was still kind of in school it was like a summer stock. Play or in between semesters of my third and fourth year Juilliard and they were like the pressure and I was like oh it’s all about the story. So you have to do is tell the story and it’ll take care of themselves and they were like What are you talking about. Like I’m wanting this job to lead to the next job. And I get I get that now in retrospect. But surely the doing of it makes you I think if the opportunities that I got now would have happened for me earlier I wouldn’t have been prepared and I wouldn’t have seen the other side of you know the auditioning part and being rejected and like you know trying to filter out information that’s useful and you know things you don’t like to do things you do like to do if I would like jumped in and had like a monumental thing where suddenly it was so public so soon. I don’t think I would have been able to handle it. So it was helpful for me. But but that’s me. Some people probably have had the opposite thing and they’re totally able to cope. But yes repetition and doing it is always best. Pretty much right after he graduated from Juilliard. Mr. Driver appeared on Broadway in the classic play Mrs. Warren’s Profession. When asked about preparing for a film role versus a play Mr. Driver explained that his process is surprisingly similar. Driver: This is going to sound like a bad answer but knowing lines is my biggest thing like knowing lines like first day of rehearsal for for everything going on set and not having to think about lines. That’s a really big. You know it all kind of depends on what the what it is for for a play. I just know that it’s the self maintenance is more of a bigger thing because you’re doing seven shows a week and then you’re telling the story with your entire body where as a film it’s you know isolated moments. But even then sometimes on film I am not so conscious of where the camera is so so I’m not thinking about that so I’m not like oh it’s only on my hands so I can relax everywhere else because I feel like it eventually you know you can kind of tell in somewhere that you’re kind of checked out in one area. So I don’t know that it’s dramatically different if the thing itself is so different. Like the pace of it is so you know you know as a play you get to rehearse it and you get to do it every. Day for hours and hours and for a month and then you get a six month run. I always feel at the end of a six month run of a play or a long run of a play that I like now I have a better sense of it you know. Like now I wish I could go back to the very beginning and do it now because it’s so in my body and whereas a film that all of that time is compressed to hours some times where you don’t have weeks of rehearsal before you start to you have you know you’re meeting people as you’re shooting at it. It’s just so they’re so different. But the one thing that’s constant is knowing my lines and then doing as much research if it requires it’s as possible just knowing as much as you can to be as comfortable as you can. Since finishing school Mr. driver’s career has zigzagged from indie projects like Noah Baumbach’s while we’re young the slightly larger budgeted Star Wars sequel. In the indie film Paterson. Mr. Driver got to work with Jim Jarmusch the auteur behind Stranger Than Paradise and Night on Earth. In Paterson, Driver plays the poetic bus driver named Paterson who lives in Paterson New Jersey. It is a beautifully subdued turn that couldn’t be more different than his work as Kylo Ren. It’s a character that came to fruition thanks to his close collaboration with the director. Driver: It was through a lot of rehearsals with Jim and the ideas that he had about kind of a. Movie that’s kind of anti drama where you would expect. You know the bus to blow up and it never does or you want an answer about the twins that someone’s going to come back and kill the dog. And you know I don’t know there’s a thing or reference him being in the military at the beginning and it’s kind of an open ended question that’s never answered. So you know all that kind of a friend of mine kind of described it as like this. You know the banality of process you know that it can be Paterson’s someone who structured his life so he can kind of go on autopilot. He doesn’t have to think about where he’s going or the right button to push to open the door it’s so on automatic which allows him to kind of float in life and create and be open to the things around him because his body he wears the same clothes every day takes the same path to work he gets you know his wife makes the you know she gets to create indoors and he’s kind of outside creating you know. So all those kind of ideas that are in the script so and we kind of talked about so I knew I think right away that there wasn’t really much you have to put on to tell that story because it was so clear in the repetition of things and in the details of the apartment and the props you know how it was set designed by Mark Freberg and the costumes by Catherine George. It was it was really just clear I just was you know surrounded by people like Golshifteh Farahani where you just have to listen and be available and trust that do you know that thought is cinematic enough. Actors have been known to do rather unusual preparation for a role. Losing weight shaving their heads bulking up. I think Daniel Day Lewis may have even traveled back in time when he did the crucible. But Mr. Driver might just be the first actor who prepared by becoming a certified bus driver. Driver: I read a lot of poetry because I didn’t. Poetry was something that I had accessible to like I didn’t really know much about or had access but I didn’t. I couldn’t access it my brain. So reading a lot of William Carlos Williams and Ron Padgett who wrote the poems for this and. That was helpful. A lot of conversations through Jim. We had two weeks of rehearsal which is kind of unheard of in a in a film. And then I got my bus driving license because along with this idea of his physicality being on autopilot I didn’t want to get there on the day and limit the amount of shots that we could get where you have to sub in a stunt driver because we couldn’t get this one shot if we didn’t. If we had to sub in someone else driving it so I didn’t want to limit Jim because also we’re on him so much when he he’s if we’re following this idea that everything in his life is on autopilot and he’s been doing this job for years then physically I should not have to look where the lever is to open the door or know where the gas meter is or know where the signs are or you know know if the electricity is running low or the tire pressure is right like these things should be on autopilot. But I only have a couple of months to get ready so I had to try to drill that as much as I could. And I felt would be helpful to get a driver’s license so I wouldn’t so I’d be used to it. And know the stress of you know driving it should I have a pillow should I not have a pillow. So things like that. This level of research helps Mr. Driver focus on his character while opening himself up as a performer. Even if that means throwing away some of the choices he prepared. Driver: I feel like once you’ve if I’ve exhausted every option in my mind of of you know I know what the script is I don’t want to think about that. I know the bus. How to operate a bus and I don’t have to think about that. Like I’m like ticking things off. So when I get on set I’m open to the other actors I know their lines as well as mine. I know what they’re going to say. The stressful thing about that is you can only you can do as much rehearsal as you want to or much preparation as you want to but you have to be willing to throw it away if you get on set and there’s like something’s wrong you know or there’s a better idea or the dog isn’t doing what it’s supposed to be doing you know which is quite often you know you have to be like you know everyone hated that dog. But I try to know as much as I can so I don’t. I’m not thinking so much and I’m open to the other actors plus I’m surrounded by like you know William Jackson Harper you know or you know Golshifteh. So all I have to do is listen to what they’re saying and they’ve they’ve made my job way easier. He explained that his hardest role yet was actually for Noah Baumbach’s upcoming untitled project even though they worked together on multiple films. Mr. Driver Was not quite ready for the toll this part would take. Driver: I just did something actually that I would say is the most emotionally challenging role. Noah Baumbach and I just did something at the start of this year and I didn’t prepare for it. Maybe that’s why it was as challenging as it as it was. No I did prepare like I prepared but I didn’t realize it was going to be as emotionally challenging but it was good for me because I don’t know how you would have prepared for that. You know you can’t really. Think of things like this is emotional so I have to play it emotionally. I don’t think you can think of emotion. Sometimes it happens and sometimes you’re not. If you’re lucky you’re with people who you know if the story calls for that. You certainly don’t play it. And if it doesn’t happen it doesn’t happen you know. But if you have a great scene partner they make it a lot easier and if you have a great script with a great director. And they’re all kind of challenge I always take them all too seriously and then I feel like I failed and then I go home. Just a series of just anxiety attacks and. Disappointments Yeah. The one part of acting that Adam Driver does not find difficult is memorizing lines. Well, at least if they’re good. NYFA: Is it hard to learn lines? Driver: Well, it is if it’s if it’s not well written. If it is well written then you’re not memorizing lines, you’re memorizing ideas and thoughts and thoughts are easier to memorize them than your lines because they all make sense and lead to the next thing. If it’s bad then or people aren’t relating to each other it just makes it way different because it’s you have to like piece together an incoherent thought. Mr Driver has been at this for only 10 years and yet he has already worked with a virtual who’s who of America’s greatest directors. So when asked about the differences between Jim Jarmusch and Martin Scorsese. Mr. Driver explained he was far more impressed by what made them similar. Driver: I think what they have in common is they’re very and what I think all great directors have in common is they’re so. You could easily imagine that you’re Jim Jarmusch or you’re Scorsese. Just tell me what to do and I’ll do it and it’ll be right because you’re that but they’re the exact opposite that they have. They create an environment on set where they actually hired you for your opinions and they’re not expecting to just you know railroad everybody and it be a dictatorship it’s very much open to what feels right for you because they’re hiring you for your instincts and your insights and your perspective and point of view and there’s no ego telling you where and what you should do their energies are just totally different. You know like Scorseses you know really fast and has this encyclopedic knowledge of film and but they’re both very interesting and interested people like Jim is really interested. Last time I talked to him was about he’s really interested in like trees and how different regions are like growing different trees and how the wood produces something different in guitar sounds. OK. You know that’s not my. They’re just and silence. You know it’s like a Portuguese Jesuit priest it’s not like a big blockbuster kind of theme and like you know a bus driving poet it’s not like a huge it’s not a money making enterprise. You know they’re deeply committed people to their craft which is also helpful for me because it I feel like where you are now as a student it’s kind of like what I was saying it’s like the most idealized version you have of being an actor it’s so full of optimism that you have yet to hit the part where the brick wall of you know people telling you this or that but then when you meet people who actually embody you know the things that made you excited about being as an actor in the first place then it’s always kind of. Empowering’s kind of maybe overdramatic but it’s comforting to know that there’s people out here who take those details specific and they don’t take the job that they’re doing for granted. No matter who he’s working with. Driver and all performers for that matter need a director with a real understanding of story. NYFA: What things from a director help you give a better performance when you’re acting for a film. Driver: Competency clarity of story. That’s a good question. I mean those are two answers. It’s hard to say because it’s so different from every and they communicate in different ways like a Terry Gilliam is such a visual director that sometimes he can’t articulate what it is that he’s trying to say. But then you get on set. You’re like oh I get it. And it’s such a different thing that it’s like it’s a different way of communicating. Maybe that’s it communicating I guess. But again a thing that they all have in common is they’re so specific about the story they’re telling. There’s a great quote and I can’t remember who it is if it’s like a Godard quote or is like making a movie should be as urgent as taking a piss. I think where. Where it’s like it’s that urgent that you have to get it out like you have to move. You have to like get it out of your system. Again I’ve been really lucky enough for working with people who have who have that kind of energy. And at the same time are crystal clear about the story they’re trying to tell. And they all articulate it completely different ways. At this point Mr. Driver cares far more about who he gets to work with than what a project will do for his career or for his bank account for that matter. Driver: I don’t think of it as like an opportunity or what it’s going to do for me because I know that’s kind of wasted energy. I knew that right away. I don’t know why but I always knew I never thought of like this is going to be big and it’s going to lead because I got to do the job. And it could be bad. It could just as easily be. So I don’t think of it. But you know for me I just know that I have to structure my life that I live within my means to allow me to do the things I really want to do which are director driven you know films. You know I lucked out with other things where they pay you on top of acting but even those things was for me a director choice. You know those for me have more value. They’re easier to talk about. They’re easier to show up to work. The people are just better for me. I don’t think of things like I’m sure. I only go with no brainers. You know if you if you want to do your work with Jim Jarmusch. Yeah yeah. Scorsese sure you know all that so that’s a no brainer to me. Soderbergh is doing. Yes. Yeah. That sounds like it’s going to be more interesting and creative. And regardless of what the money is don’t do for money. But I mean you have to live. So figure out a different way. You know in a way that you know I can say that now but I know that’s easier said than done. So I’ve been lucky. But some people don’t get that but that’s how I think. As a former Marine. Driver wanted to bring the power of the arts to his fellow servicemen. In 2008 while still at Juilliard he founded the nonprofit arts in the armed forces. Its mission statement is to provide high quality arts programming to active duty service members veterans military support staff. And their families around the world. Free of charge. Driver: So I started this nonprofit my second year at Juilliard where we tried to bring theatre to a military audience contemporary American plays and it kept getting a response from preexisting veterans organizations that theater didn’t fit a military demographic. That they would rather see San Diego Chargers cheerleaders. Which is great I mean cheerleaders are great. I felt that considering like our occupation even at the time I remember those events and I thought we could handle something a bit more thought provoking than dance numbers which I that’s not what I mean dance numbers just like over sexualized you know mindless kind of entertainment that like a Shepard play would actually maybe. Indirectly arm a subculture that is you know mostly told that they won’t understand theater because it’s really for people who have gone to college or live in New York that somehow that it will give them kind of arm them with a means of self-expression that they are told that they won’t have access to because of where they’re from which I think is bulls**t. So we tried to create this project where we know like a traveling theater troupe. We go to a different military bases like hospitals and overseas and chow halls hospitals and just read contemporary American theater that is not military themed at all and by Shepard and Kushnir and Dimitra Vance and all these great playwrights you know. Then they tell us about the material in the way. So we’ve been doing that for 10 years. When Mr. Driver transitioned out of the Marines he discovered an understanding of his own complicated emotions through the writings of Tony Kushner in August Wilson arts in the armed forces is now doing the same for others. Driver: From a theater background in Indiana. I didn’t really know much about these great playwrights and suddenly coming from the military and filled with kind of like this a lot of anger and resentment and like you know trying to adapt as a civilian for the first time I was reading these plays that had nothing to do about the military at all but were somehow articulating my military experience in a way that before to me I couldn’t describe and that felt very like calming to it. I came from an environment where you know using your words to describe feelings and because of what you’re surrounded by a bunch of guys who can’t articulate themselves and I can see how aggressive we all would get because of it. And saw the value in having language as a not necessarily a weapon but as a tool to use you know open up a door for lots of things using language and through theater in particular because it’s so the writing’s so good. You know reading in August Wilson play it’s like you know it has nothing to do with the military but somehow it’s describing it in this indirect way that I couldn’t have described before and that to me was very empowering. So I wanted to share that with the people that me at the time were the closest still to me which was people in the military and I saw how they still like language is not their first go to especially post deployment where everyone is trying to process what’s happening and they can’t really name what it is but you know you read Tony Kushner play and you know a diner scene talking about you know government and really he’s talking about guilt. You know we did this one speech where he’s reprimand this woman is reprimanding her her female employee for not wearing a bra not following the dress code and I picked it because it was funny but the military audience that we showed it to the men were coming out of it being like thought the whole thing was good to go. I just thought that that one piece was an indirect attack on our structure in the in the military. We have a dress code for a reason. And the female Marines were coming out of it being like I loved the whole thing especially that monologue because I know what it’s like to be female in a male dominated society where you have to wear your hair in a bun and hide it under your cover. The uniform is very you know straight and hides. You know any kind of gender. So it was you know they they pick things indirectly and tell us as I was saying about the play more than why we picked it sometimes and why not arm the people that are protecting your country with a new means of self-expression. Mr. Driver’s Journey from the heartland to the military to Juilliard Broadway TV cinema and a galaxy far far away is inspiring the fact that he’s giving back. Makes him even more impressive. If you want to support arts in the armed forces please visit their website AITAF.org. We want to thank Mr. Driver for talking with our students and thanks to all of you for listening. This episode was based on the Q&A moderated and produced by Tova Laiter to watch the full interview or to see our other Q&As. 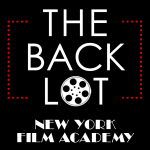 Check out our youtube channel at YouTube.com/NewYorkFilmAcademy. This episode was written by me Eric Conner edited and mixed by Kristian Hayden our creative director is David Andrew Nelson who also produced this episode with Kristian Hayden and myself. Executive produced by Tova Laiter Jean Sherlock and Dan Mackler. A special thanks to the media content veterans and events departments and the staff and crew in New York who made this possible. 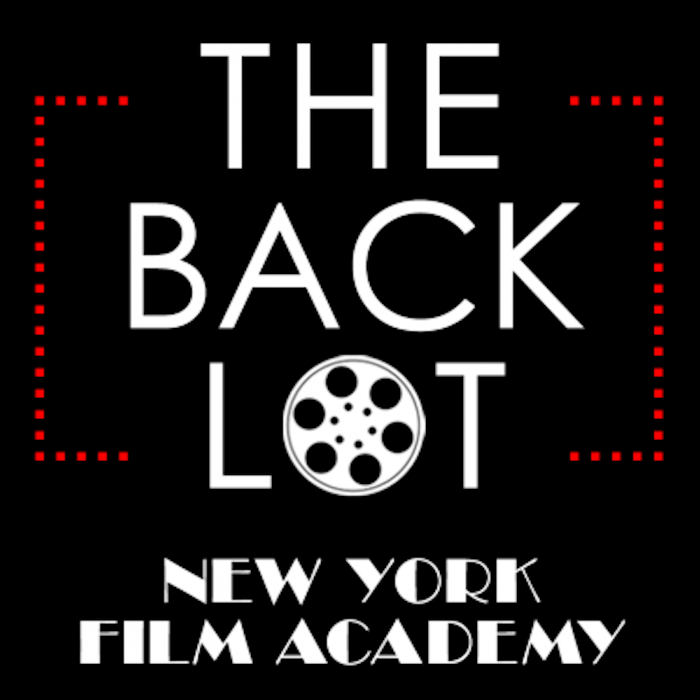 To learn more about our programs check us out at NYFA.edu. Be sure to subscribe on Apple podcasts or wherever you listen. See you next time.